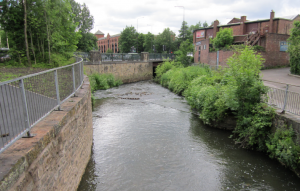 Sided by the magnificent River Douglas, Wigan is a hotspot of industry and culture. The fact that it can hold its own against the shiny attractions that the city of Manchester offers is testament to the unique spirit and history of the town. Blessed with a pastoral spirit, Wigan offers a rich slice of the English way of life, right from the warmth and affection shared by its citizens to its cuisine and lifestyle. The origins of the town are steeped in an interesting narrative. The first settlers were the Brigantes, an ancient Celtic tribe that ruled over most of what is now northern England. The making of Wigan as a part of the British landscape began in 1246 when King Henry the Third issued a charter proclaiming it as a borough. It was allowed to have two weekly markets. This was the first step that the town took towards becoming a trading hub. By the 15th Century, Wigan had become an important post for manufacturing wool. Then the industrial revolution happened, changing the pastoral landscape. There was a dramatic rise in population as people from all over the United Kingdom sought out the town for work and commerce. As a result, the economy expanded, allowing more and more industries to set up, and attracting increasing numbers of people. Two industries that made their mark were porcelain manufacturing and clock making. They would become a relic of the past as coal mining took centre stage. The geography of the land lent itself to the production of the black sedimentary rock. This led to a rash of coal mines springing up across the breadth of the town. At its peak coal mining became the life and breath of Wigan, as black soot became its calling card. The proliferation of this industry led one of the town councillors to remark that “a coal mine in the backyard was not uncommon in Wigan”. The councillor’s remark was not without reason. At one point there were a thousand pit shafts within 8 kilometres of the town centre. It is this tradition, of industries and mining, that laid the foundation stones of the town that we know today. The early part of the twentieth century was not kind to the mining town. After decades of expansion and growth, the economy was stagnating. Most of the mines and the mills lay in a state of limbo. The people found it hard to get by with meagre incomes. With things looking bleak for the once buzzing town, it took the touch of a literary heavyweight to highlight the silver lining in the dark clouds. The Wigan Pier is a wharf on the canal that flows from Liverpool to Leeds. Back in 1920 the waterfront provided a snapshot of the hardships the town endured. The celebrated author, George Orwell, used this as a backdrop to his book, The Road To Wigan Pier. The novel talked about the miserable conditions in which people lived and worked. The once pastoral environment had transformed into a landscape that featured slag-heaps, dirt-stained roads, and stagnant pools of water. George Orwell describing the town in his book seemed to galvanize it to rise out of its stagnant tepid state. 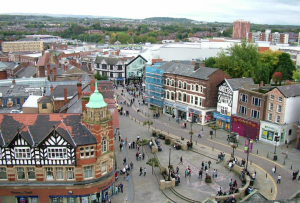 Wigan then began its journey to become a centre of culture, lifestyle, and tradition. 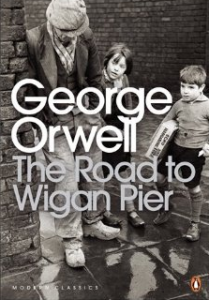 The Wigan Pier mentioned in the book is now one of the many tourist attractions the town boasts of. For tourists, Wigan represents a break from the usual touristy locations that are overcrowded and lack a soul. Having rediscovered its roots, the pastoral town offers calm, relaxing spaces decorated with lush landscaping. The Haig Hall Estate is one such space. It consists of over 250 acres of open parks, woodlands, and a café. 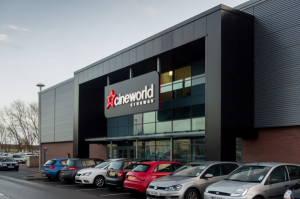 There are energetic, entertaining spots as well as AMF Bowling in the town centre and Cineworld Leigh at The Loom. Then there is the Oxygen Freejumping centre that will bring out the inner kid in you. Wigan also offers an intimate look into its past with a string of stellar museums. The Museum Of Wigan Life is one of the most visited, while Astley Green Colliery Museum offers a throwback look into its mining tradition. With its mix of leisure and entertainment, Wigan is a town that will never bore you.